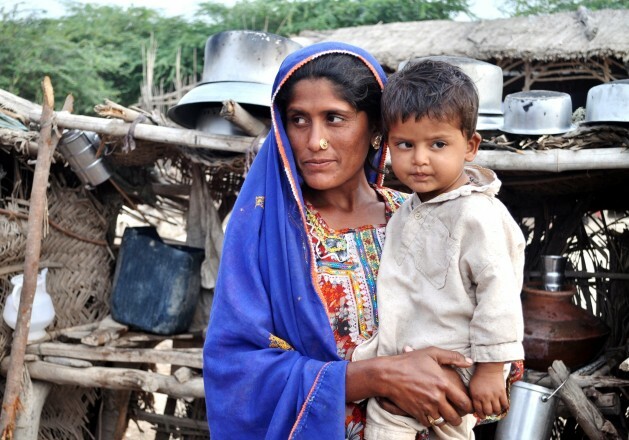 KARACHI, Sep 12 2012 (IPS) - “I can’t imagine life without misoprostol,” says Dr. Azra Ahsan, a gynaecologist and obstetrician who has, for more than a decade, been using the controversial drug to stop women from bleeding to death after delivery. Originally intended for treating gastric ulcers misoprostol has since 2000 been gaining in popularity for its ability to induce labour and stop post partum haemorrhage (PPH). “I knew that it can save women from dying long before 2009 when it was registered for use in Pakistan,” said Ahsan, a member of the government’s National Commission on Maternal and Neonatal Health. WHO guidelines advocate the use of misoprostol against PPH, while the International Federation of Gynaecology and Obstetrics (FIGO) suggests using the drug in situations where regular ‘uterotonic’ drugs like oxytocin and ergometrine are not available. Allyson Pollock, who led the study, stated that there is insufficient evidence to suggest that misoprostol works in preventing PPH. Instead, she urges poor countries to improve primary care and prevent anaemia to lower the risk of haemorrhage following delivery. Ahsan, however, says that in Pakistan some 80 percent of pregnancy cases end up with the mother’s uterus failing to contract naturally after delivery, calling for the use of uterotonic medicines to reduce bleeding. “Nearly 27 percent of maternal deaths in Pakistan are caused by excessive blood loss after childbirth,” Ahsan explained to IPS. According to the latest Pakistan Demographic and Health Survey (2006), Pakistan’s maternal mortality ratio stands at 276 for every 100,000 live births, and is among the highest in South Asia. Bleeding, the leading cause of maternal deaths worldwide, is defined by the WHO as blood loss greater than 500 ml following a delivery. The fact that misoprostol is also misused in Pakistan – and other developing countries like Brazil – to induce abortion cheaply, has added to controversies over the drug. “I don’t care if people think it is used, misused or even abused…I know it saves mothers from dying,” says Ahsan. Unlike other uterotonics, misoprostol has the advantage that it does not need refrigeration for storage and can be easily administered orally by trained birth attendants, Ahsan said. Zulfiqar Bhutta, head of women and child health at the Aga Khan University, Karachi, and member of the independent expert review group for maternal and child health to the United Nations secretary-general, agrees with Pollock that misoprostol needs to be evaluated more robustly. “But I wouldn’t throw out the baby with the bath water yet,” Bhutta told IPS. “There is a need to increase its use in the right circumstances and also carefully monitor misuse. It is no magic bullet and should not lead to complacency in provision of essential maternal services,” he said. “I think the point of the paper published recently is to try and separate science from messianic zeal,” says Bhutta who is also co-chair of ‘Countdown to 2015’, a global scientific and advocacy group tracking progress towards the U.N. Millennium Development Goal Five pertaining to maternal health. “We are fully aware that all studies have limitations and that continued research on best practices for maternal care is needed,” de Silva said. “However, for the purposes of meeting the urgent needs of women, particularly in rural, underserved communities, we are confident about being guided by the abundant literature and expert evidence supporting the safety and effectiveness of misoprostol for multiple reproductive health indications,” de Silva said.